Margot has sailed BUNKY since the 1940’s. She was originally built for the Herreshoff family and named after Nat Herreshoff’s grandson Bunky, the name she still carries today. 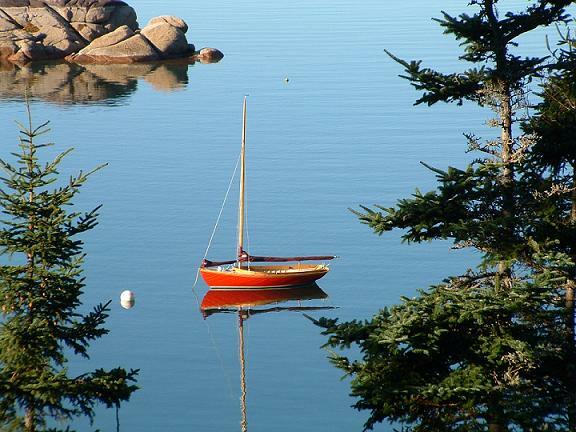 Margot’s father, Alan Bemis, purchased BUNKY in 1944 or 1945 and she was sailed to Maine from around Cape Cod by an old Maine skipper that fall. She has been at High Head ever since. BUNKY was rebuilt in 1995 by Brion Rieff of Brooklin, ME.